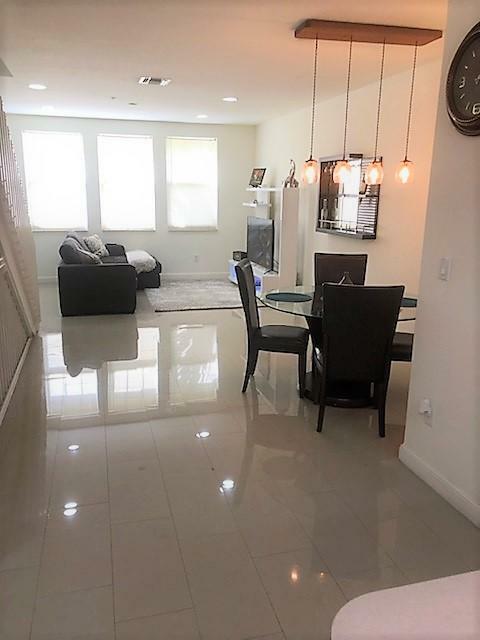 All CITYSIDE CONDO homes currently listed for sale in West Palm Beach as of 04/21/2019 are shown below. You can change the search criteria at any time by pressing the 'Change Search' button below. "Beautiful lakeside unit next to pool & clubhouse. Largest floor plan in CitySide! Enjoy expansive lakefront views from your private patio. Light & open w/ dramatic 22 ft ceiling in living room. New refigerator, glass tile backsplash, faucet & disposal in kitchen. 2nd refrigerator in over sized 2 car garage. Additional driveway parking for 2. New carpet, paint, blinds, fans & lighting. Large 9x8 walk-in master closet. Newer AC installed 2.5 years ago. CitySide amenities include: 24hr manned security gate w/ nightly roving patrols, HD cable & internet service, water, trash removal, clubhouse, gym, HUGE lakeside pool w/ covered BBQ area, on site management/maintenance, and lakeside jogging path. 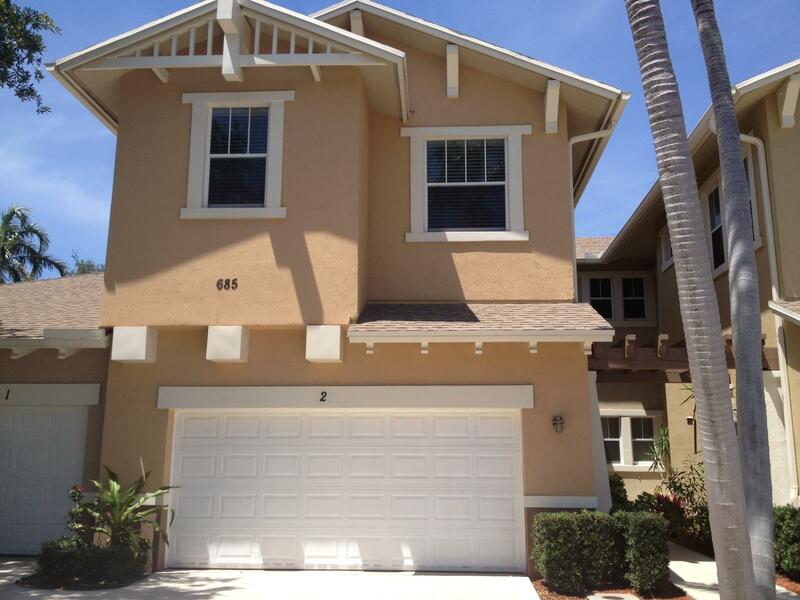 Great location near Palm Beach Outlet Shoppes. 5 minutes to I-95, downtown WPB & airport." "''BRAND NEW'':Air Conditioning System, Hot Water Heater,Garage Door Opener, Ceiling Fans,Light Fixtures throughout, Stainless Steel Appliances,Wood Flooring throughout,Blinds,Vanity 1st Floor Bathroom,2nd Floor Vanity in 1/2 Bath, 3rd Floor Vanity in full Bath.Feature Wall in 1/2 Bath,Granite Counter tops,Feature Wall in Kitchen.Completely painted throughout the home.Master Bedroom has a lg walk in Closet,separate Water closet,dual vanity and lg Step In Shower. 3rd Floor loft.2 Master Bedrooms, 1 on 1st Floor and other on the 3rd Floor.All Bedrooms has over sized closets.9' ceilings on 1st & 2nd and 10'' on 3rd floor and all 8' doors. Kitchen features 42'' upper cabinets and a serving bar. Laundry/storage Room on 3rd Floor. Resort Style Living with Gym. ALL measurements are approx." "Live in the center of it all. Only 8 minutes to downtown West Palm, Clematis Street and Cityplace. Almost 2300 square feet of living space and a 2 car garage!!! Upgraded kitchen with brand new Samsung stainless appliances. Master bathroom shower has been remodeled also. The entire townhouse was recently painted. 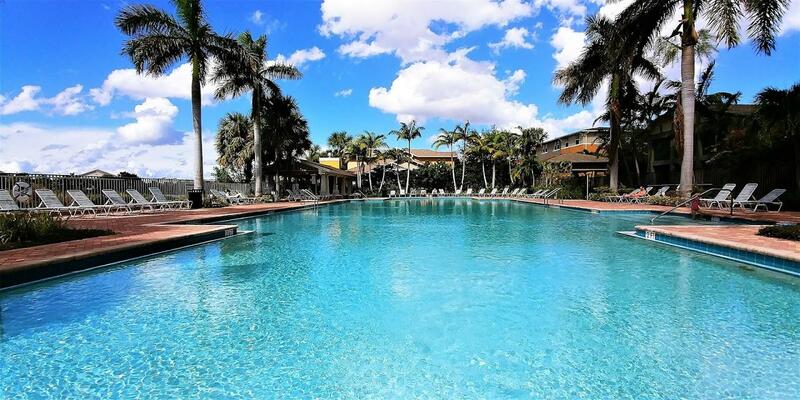 Enjoy the best amenities West Palm Beach has to offer with Olympic size pool, 1st class gym, and fantastic clubhouse.Monthly condo fee includes cable, water, and internet!! WILL NOT LAST!!!" "Fantastic opportunity to live in a resort style in City Side. The Monterey Model is 3 story townhouse features 4 bedrooms and 3.5 baths, kitchen with granite countertops, new Maytag and Bosch Stainless Steal Appliances, 2017 Samsung washer and dryer, Air Sterilizer/ Purifier, crown molding, new carpet and 2 car garage. The community offers heather pool, clubhouse, patio grill, 24 hours fitness center, movie theater, Pilates & yoga room, 1.7 miles running track and more. Hoa fee includes cable, internet, water, sewer, trash, pest control, 24 hours security, landscaping. 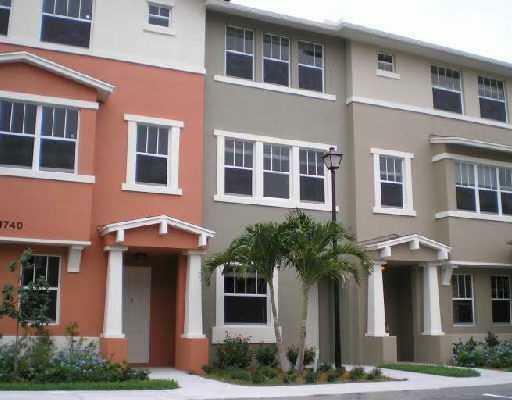 Located walking distance to Palm Beach Outlets and restaurants.You will call this place home!!!" "Nicely appointed 2/2.5 Carmel floor plan in CitySide. Updated tile flooring throughout. Stainless appliances in kitchen. Bonus den/office on 1st floor. Oversized 1 car garage with additional driveway parking. Stackable front-load washer/dryer. 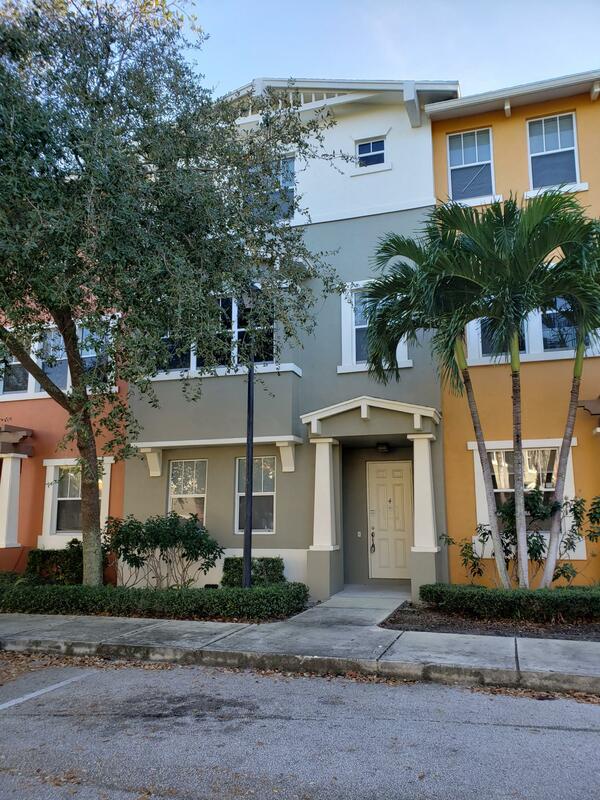 Centrally located community only 5 minutes from downtown West Palm, I-95 and airport. Walk to Palm Beach Outlet Shoppes, Whole Foods, Target & several new restaurants. CitySide amenities include: 24 hour manned gate w/ nightly security patrol, clubhouse, gym, lakeside jogging path, onsite management & maintenance, and a HUGE lakeside pool w/ covered BBQ area. HOA dues include water, sewer, trash removal, and cable/internet service." 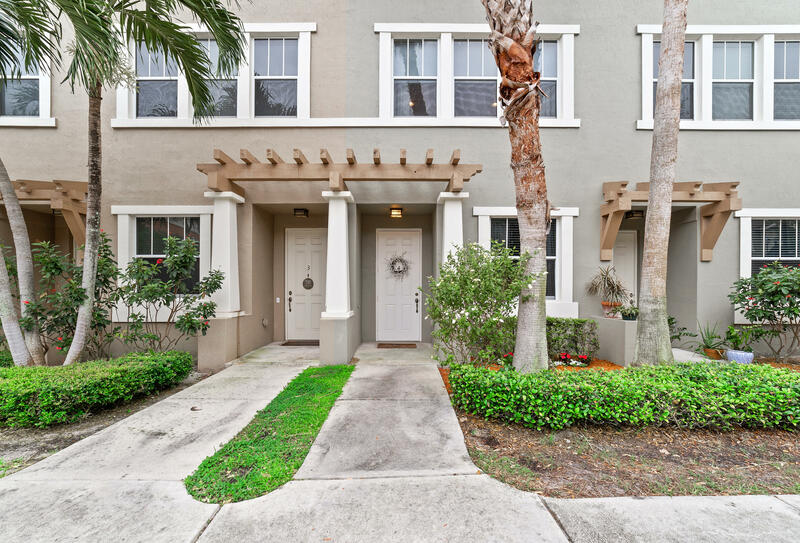 "This Cityside 3 story townhouse boasts 2 beds , 2.5 baths and a bonus room that is move in ready! Bedrooms and first floor bonus room feature wood look tile, Carpet on the stairs and neutral tile in the main living area. Kitchen cabinets have been modernized in a white finish with stainless appliances. Washer/dryer and all appliances 2 years old. Impact windows on all floors. Maintenance fees include internet, cable, water & sewer. Community features: 24hr manned gate w/ night-time security patrols, lakeside 2 mile jogging path, gym, clubhouse, huge lakeside pool w/ covered BBQ area, on-site maintenance & management. Great West Palm Beach location. Only 5 minutes from downtown, the airport, or I-95. 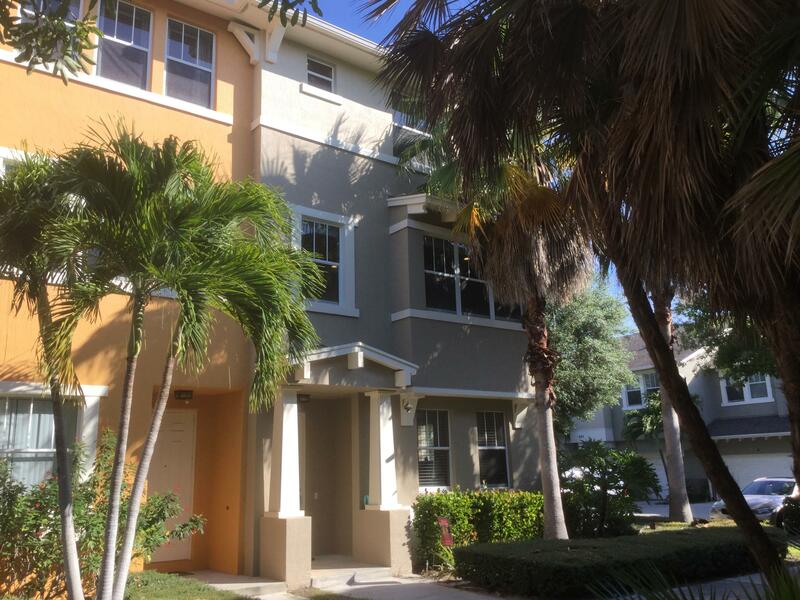 Walking distance to the Palm Beach Outlet Shops, and several stores." "Great location! 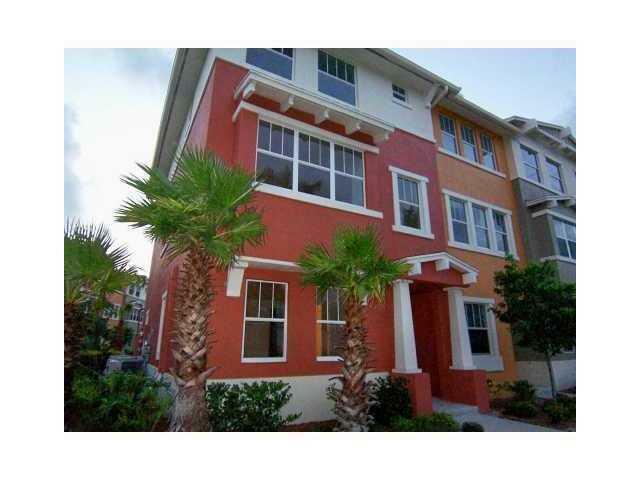 2/2.5 townhouse in CitySide. 1 car garage w/ additional driveway parking. Bonus room on first floor can be turned into office or den. Centrally located community only 5 minutes from downtown West Palm, I-95 and airport. Walk to Palm Beach Outlet Shoppes, Whole Foods, Target & several new restaurants. CitySide amenities include: 24 hour manned gate w/ nightly security patrol, clubhouse, gym, lakeside jogging path, onsite management & maintenance, and a HUGE lakeside pool w/ covered BBQ area. HOA dues include water, sewer, trash removal, and cable & internet service." "Great townhouse with garage located in CitySide!!! Centrally located just minutes from downtown West Palm, I-95 and the airport. Amenities include: Pool, gym, clubhouse, 24 hour manned gate and security, onsite management. HOA dues include cable & internet service, water, sewer, trash removal."